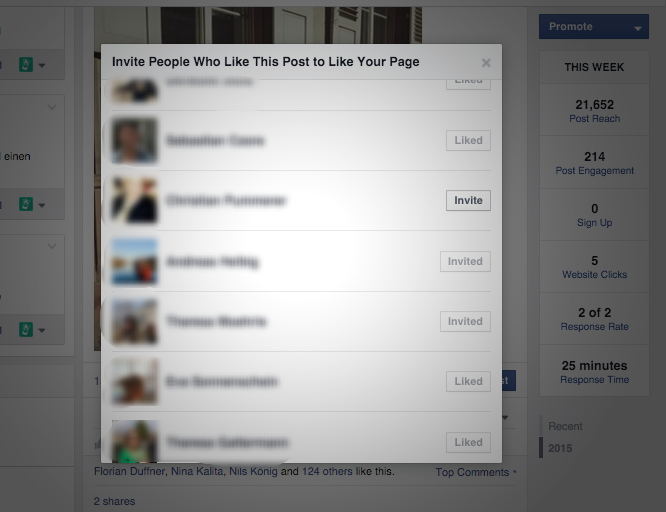 This seems to be kind of a secret: Did you know that you can invite people who liked one of your page posts to like your page? I didn't know it's possible until I stumbled across it today. (Actually thought it's something completely new, but apparently some people wrote about it a few months ago). Yes, it's that simple. I tried it with a couple of old posts and got about 30% conversion rate. Crazy! Made me think that it might actually be very worth focusing just on post likes with Facebook ads. Have you tried it out yet? Let me know.